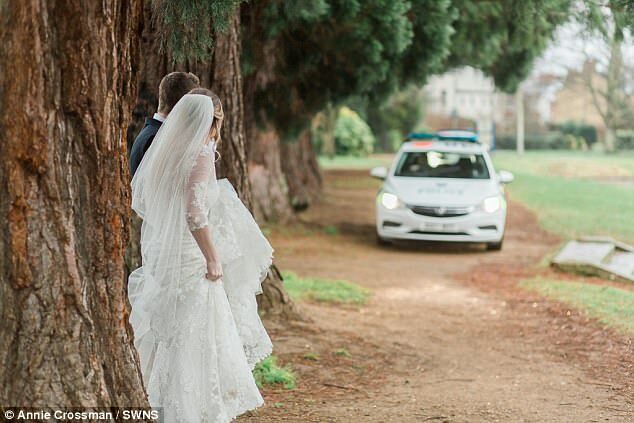 A pair of newlyweds in the middle of a photoshoot on their big day had an unexpected element of drama injected into their keepsake shots when a team of police officers came crashing through in hot pursuit of a suspected drug dealer. 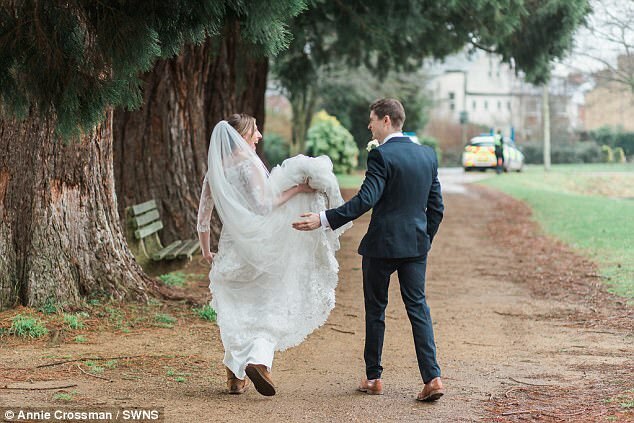 Toby and Becky Eyre were posing for photographs when detectives from Thames Valley Police chasing a man through Hinsey Park in Oxford cut a path directly through the shot. “At first we just saw a man running and heard police shouting ‘Stop!’ We tried to get out of the way as much as possible,” Mr Eyre told. 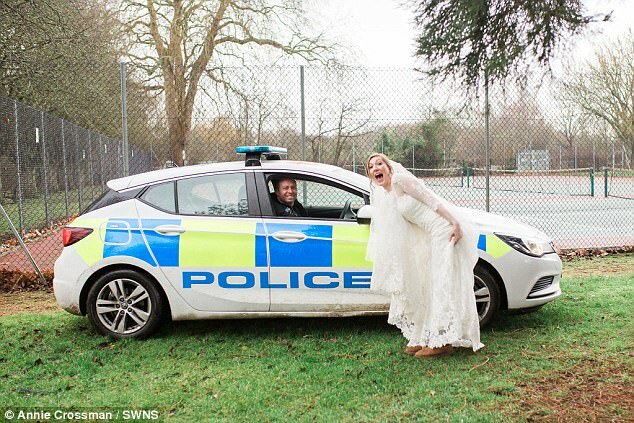 The unexpected interruption came just two minutes into the session with photographer Annie Crossman, who said the officers shouted “congratulations” from their car window as they drove by. 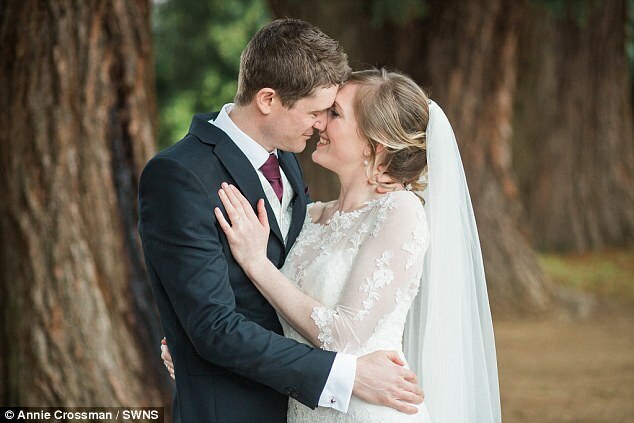 Initially, the couple and photographer were shocked and unsure about what was happening. 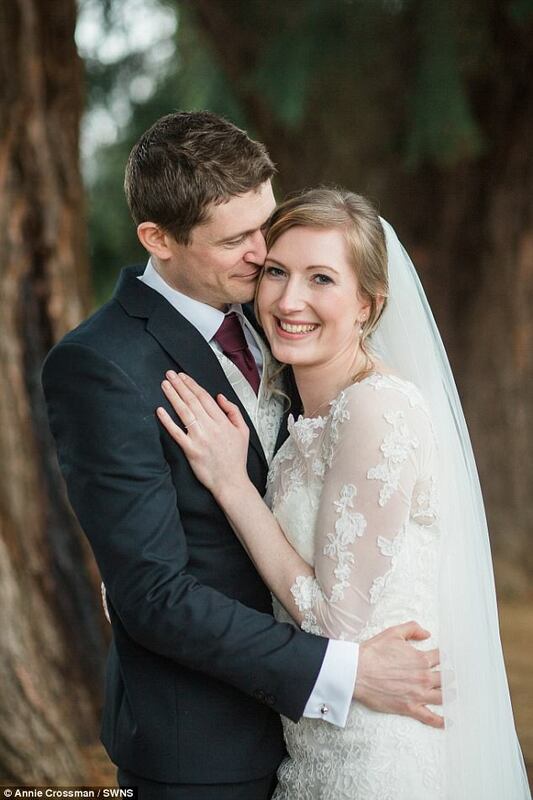 However, when they realised everything was safe they calmed down. 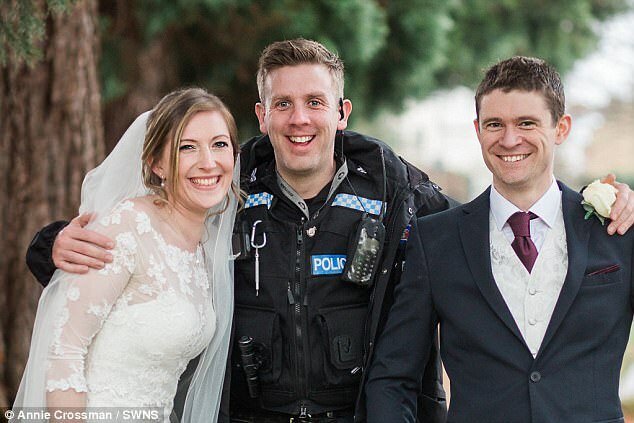 Officers made two arrests before approaching the couple to ask to have their pictures taken with them, which they then posted on Thames Valley Police’s Twitter feed. A police spokesman said: “A 43-year-old man from South Hinksey and a 36-year-old man from Oxford were arrested on suspicion of possession with intent to supply class A drugs in connection with this incident.